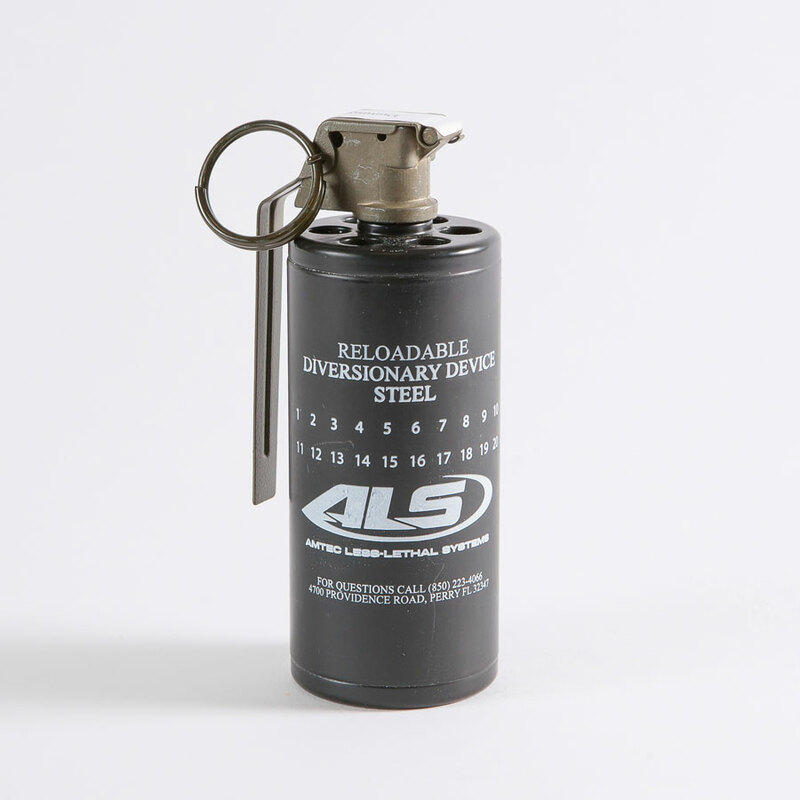 The ALS4140 is a reloadable tactical diversionary device body that can be reloaded up to 40 times. When used in conjunction with the ALS09, the device produces 174 dB at 5 feet, and emits 2-6 million candela. In addition to the light and sound, the ALS4140, with reload, produces a significant pressure wave that adds to the disorienting physiological effects.